When Vorticom signed on to work with Largo Resources in 2014, its share price was in the penny stock territory. With regular coverage in trade and business publications and CEO interview on Canada’s leading business TV network, the stock soared to an all-time high of $3.28 by October 8th 2018. 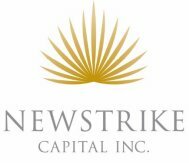 With feature coverage in The Wall Street Journal, trade press and business television, junior mining gold exploration company, Newstrike Capital, saw its stock price climb from .25 cents a share to nearly $3, ending in the company’s acquisition.